What is Helpware? It means that each week you should help someone learn some of what you know. Both brothers absolutely love the mountains. North Carolina Bro calls the Blue Ridge Mountains of western NC home. A retired information technologist, NCBro has done most of the grunt work putting this site together. He plays golf, travels and explores, loves the Internet and its potential; and likes to listen to smooth jazz and R&B. He's a PC. Colorado Bro is the creative half of this endeavor. Responsible for a large portion of the content, COBro has enjoyed a long career in printing and desktop publishing. 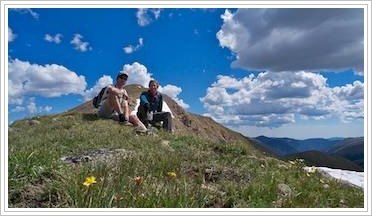 High atop the continental divide in central Colorado, he loves to ski, bicycle, backpack and adventure. 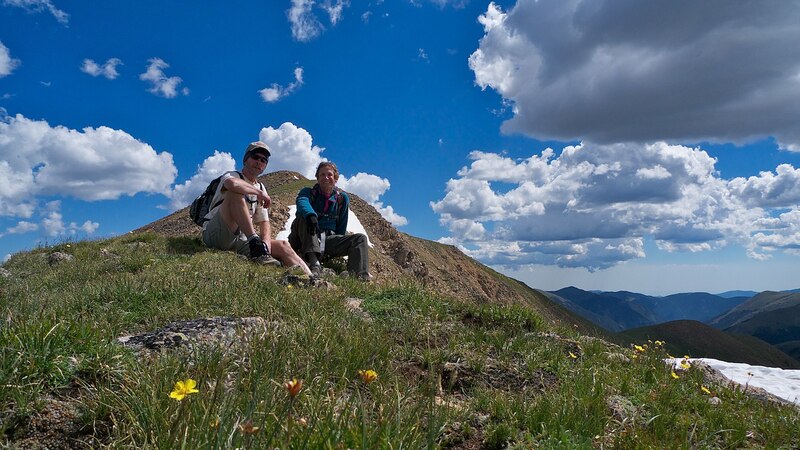 Photography is his passion, as demonstrated on his personal website, Rocky Mountain Scenery. He's a Mac. According to Internet research firms, just a handful of net portals account for nearly half of all online minutes. Simply put, this is very sad. Perhaps, though, you crave something different. At least once a week, use your site to promote another in the independent web. Write a review if you like. Tell others who may find you about the great diversity in art, personal publishing, scientific research, and the spirit of sharing offered by the original web. Then, link back to Aortal and we'll put you on the supporters list to help spread the word about this movement. It's that simple, and rewarding. You've heard of it, some of your friends do it, and you want to try it. Digital cameras and photography; what's it all about? It requires an investment; a new camera and memory for the camera; a computer, if you don't already have one, or a better computer if you have an old one; and software for editing your images, although most digital cameras now come with minimal software. Digital photography employs a camera just like film photography, but instead of capturing the images to film, digital media stores the photos for retrieval with a computer or for display on a television set. Some digital cameras can be connected directly to a printer device negating the need to view photos on screen. Some printers and computers accept memory cards from your camera so the pics can be printed or viewed without attaching the camera. Seeking the Best Image Quality? Having Trouble with Lighting and Contrast? Looking for Crisp, Clear Nature Shots? So you've seen those cool QTVR movies on the web, and you want to learn how it's done. Well, you've come to the right place. Internet Brothers to the rescue again. We'll be talking about creating panoramic movies here, the kind you can move from side to side up to 360°, as if you're standing on the spot where the panorama was captured, spinning around. Desktop Publishing: a term that makes professional graphic artists and typographers cringe at the thought of lousy home made amateur art work. The Internet Brothers believe that businesses and individuals who need to create and produce printed materials, whether they be promotional pieces or business forms, should consider hiring graphics professionals. After all, a lot of training and experience is required to design printed pieces that look appealing, get the message across, and give a first-rate impression. Are you confused regarding the many "rules" for Desktop Publishing, both on and off the web? If you want to excel in the DTP field, you need a good mix of knowledge in typography, grammar, design, paper, service bureaus, print shops, marketing, and client needs. What is it that makes the Internet so compelling to so many? Aside from the obvious fun and entertainment, educational and business opportunities, and show-offism; We think it boils down to a slogan taken from the eighties. No fear! The playing field is level. Size doesn't matter, really. Inhibitions and reservations are out the window when that modem says "let's go." No hidden emotions, just pure, most-times rational thought. Internet life is people with diseases and addictions, exposing souls and sharing their recoveries. It's about overviews of history warning future generations not to repeat the mistakes of their predecessors. Sure there are a few kooks to throw us off guard, but mostly the net is just us being ourselves without fear of reprisal. How refreshing. The Internet is people talking and sharing ideas. Our best and brightest, wallflowers and flower children, the girl next door and the doc who delivered your kids. It's about you and me. We are all using our own cognizant voices, and we're listening too. We're challenging the status quo and offering alternatives. Collaboration on a global scale all tied together by that simplest of cyber friendships, the hyperlink. Communication has never seen anything like it. The whole world is right next door. This spirit of community will ultimately be the lasting legacy of the first fifty years. Not the gazillionaires. Not the top-down control freaks of guerilla commerce. Instead, it will be the work-at-home moms, the redneck artists and poets, the shy nerds with decades of expression to release. We're delighted to make your acquaintance. Enjoy the excitement that is America's National Park system. With photo galleries from Arches, Bryce Canyon, Capitol Reef, Canyonlands, Great Smoky Mountains, Shenandoah, Rocky Mountain, and Zion National Parks, this is sure to make you want to get your hiking boots out of storage, pick some favorite trails and overlooks, then hit the road. Join us on a photographic journey through the Colorado National Monument and Rattlesnake Canyon, then on to Cedar Breaks National Monument during peak wildflower season, and Grand Staircase-Escalante National Monument for a trip over Hell's Backbone above the Box Death Hollow Wilderness. In the Monongahela National Forest, Cranberry Glades is one of many exciting natural attractions in this beautiful highlands area. Here you can enjoy unlimited recreational opportunities including hiking, mountain biking, horseback riding, camping, hunting, and fishing. We spent three days touring this delightful National Forest Service wilderness in May 1999. Located on the Hualapai Indian Reservation, Grand Canyon West is approximately 120 miles East of Las Vegas, NV. Attractions available at Grand Canyon West include The Indian Village with authentic dwellings, The Hualapai Market, the Grand Canyon Skywalk and The Hualapai Ranch, a western town with horseback and wagon rides. The Netbros were there in late June 2007. Boy was it hot. Following a winding, manicured path from its start as The Skyline Drive in Shenandoah National Park to its ultimate end at the entrance to Great Smoky Mountains National Park, this nearly 500 mile beauty of mid-twentieth century engineering traverses some of the most breathtaking forest land found in the eastern U. S.
Internet Brothers does accept paid advertising. Please contact us using the email link below.